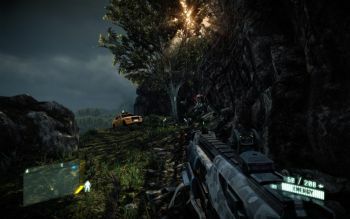 I wasn't a big fan of the first Crysis, although this could've been due to me being unable to enjoy it in all its graphical glory: I had to run it on low settings, which to a large degree ruined the whole point of the game. But in a way this allowed me to focus more on its gameplay, which I found repetitive, as was the case with the game's environments. Too many similar environments with too many similar firefights, a pattern that didn't change until the last two hours or so. 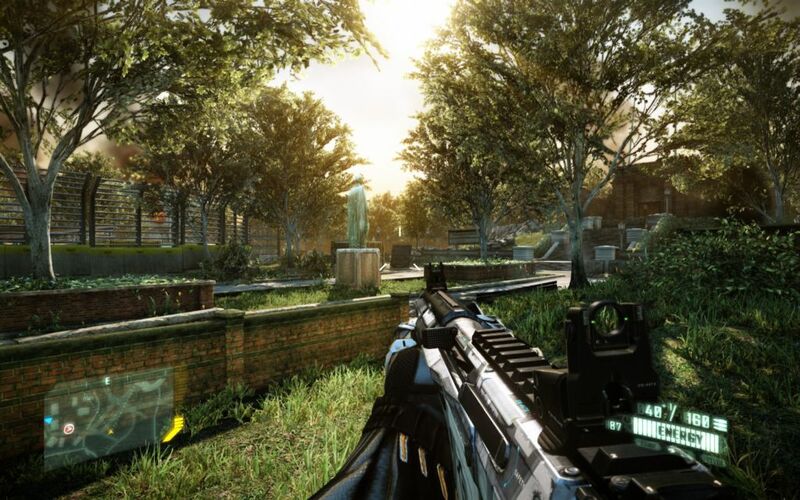 Crysis 2, however, is cleary better and this time around I was able to enjoy its graphical treats as well. 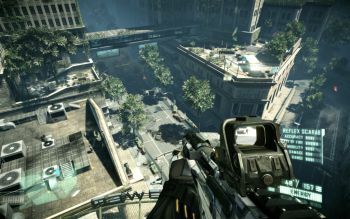 Along with Battlefield 3, Crysis 2 is the best-looking computer game on the market and it really takes advantage of this graphical prowess, featuring large-scale urban environments but without forgetting the predecessor's affinity for greenery. It is only fitting then that the game takes place in New York City, a city known for its parks. 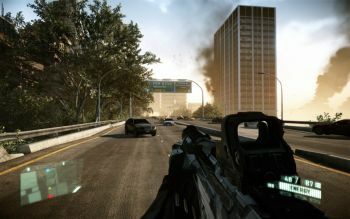 In Crysis 2, trees sway in the wind, gigantic buildings are destroyed before your eyes and so on in a constant barrage of visual pleasantries. The setting has been put to good use: you'll be fighting in the streets, on rooftops, piers, traffic tunnels, the Central Park and so on. As far as performance is concerned, I was running the game on the second-highest "Extreme" settings and it gave me a good framerate aside from a few spikes upon entering larger areas. If the god-awful Metro 2033 learned all the wrong lessons from Modern Warfare, Crysis 2 has learned all the right lessons, all the way from excellent pacing to open but still not nonlinear environments, which I view as a positive in a game like this: in Crysis there was too much wandering around in repetitive jungle environments. 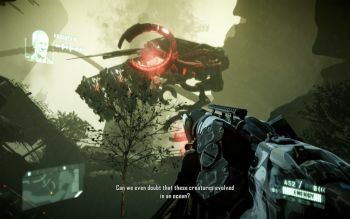 Here you're always aware of where to go but the environment is still open enough (sometimes generously so) to accommodate players wanting to try out new combat tactics by experimenting with the nanosuit. 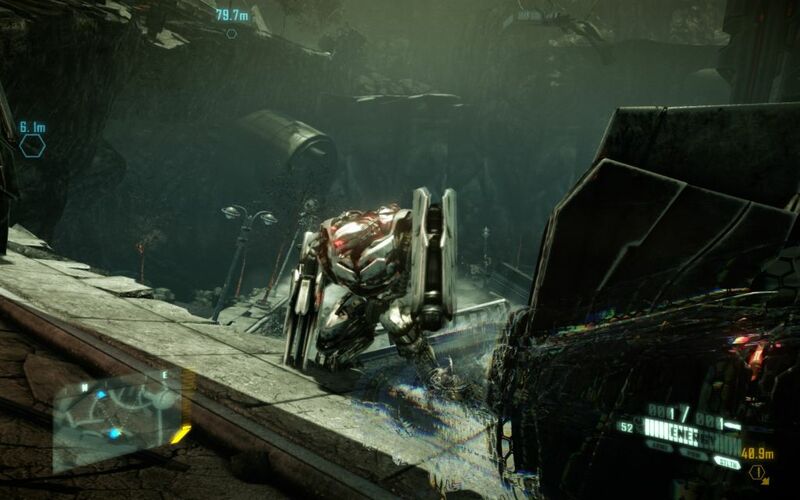 The nanosuit has been streamlined as well as it now has only two active modes: stealth & armor. The change works as these two are all you need and yet they're still markedly different, one being used for battles, one for avoiding battles. Jumping, sprinting and tossing heavy objects also use nanosuit energy so you're always better off thinking ahead; in fact, the game has a habit of recommending you to do just this prior to some bigger battles. The environment is what at the end of the day determines your course of action: some paths are for cloak, others for combat. Both courses have their challenges. Curiously and in contrast to most games there's a refreshing amount of locations available right above your head: grabbing ledges is easy and allows you to position yourself better against enemies in most situations. 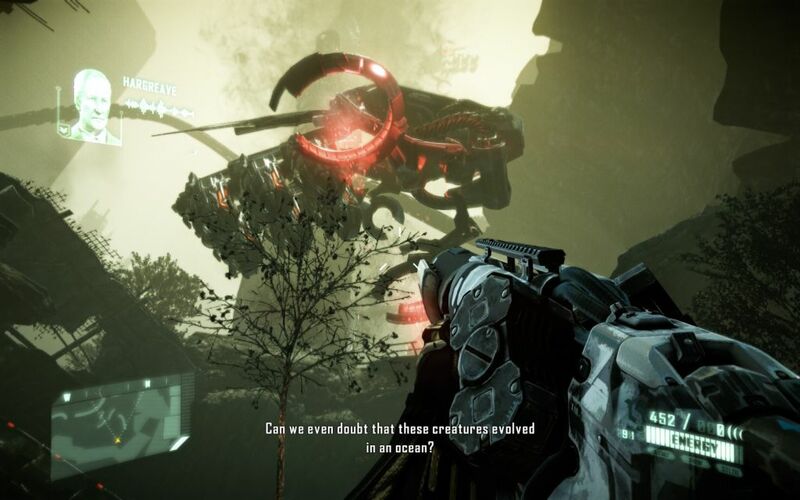 The story is nothing special, borrowing heavily from movies such as Cloverfield and War of the Worlds. In a true Modern Warfare fashion there are some fun plot twists, solid voice acting and somewhat interesting characters. 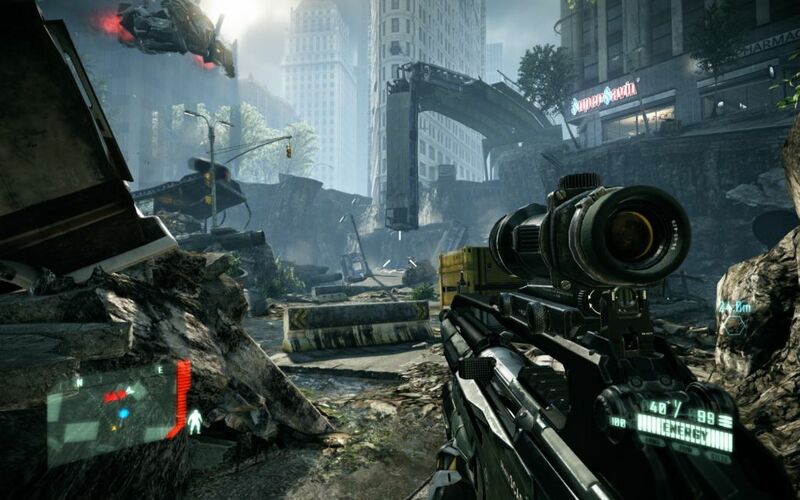 The only console limitation that hurts the game is its reliance on checkpoints which tend to be a bit sparse from time to time, especially when noting the fact that Crysis 2 isn't the easiest game on the market so you may end up replaying large stretches if your tactical approach was the wrong one. (Of course, this has the benefit of forcing you to be more careful.) The game is quite lengthy: the in-game clock gave me nearly eight hours but this didn't includue failed attempts, so you should expect to spend around ten hours with the game in total. 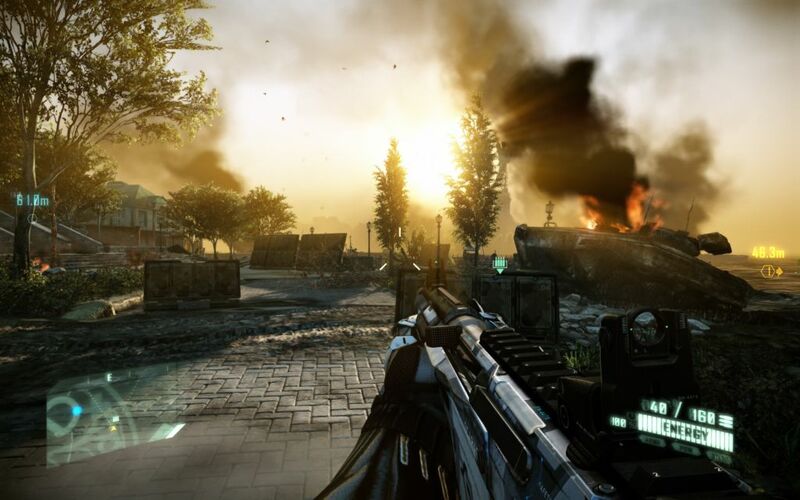 Conclusion: Crysis has gone through a modernization process and it's better for it. The game boasts many dynamically interesting and beautiful environments that provide the player with a choice over his actions, i.e., how to make the most out of the nanosuit. 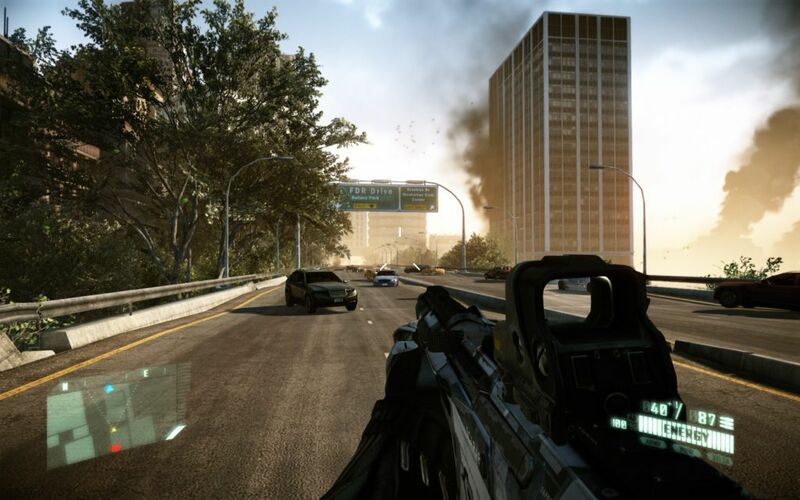 I won't give Crysis 2 full mark because at the end of the day it's just a shooter that didn't really evoke any deeper emotions, but it's one of the best modern shooters there is.